There are four well appointed rooms, all with ensuite. Free wifi (with limited download speeds) is available in the main residence, and in the Treetop, Forest and Garden rooms. You are welcome to pay by cash, direct debit or credit card. Payment is requested on arrival. Enjoy the romance of this luxurious room with its queen-sized four poster bed. 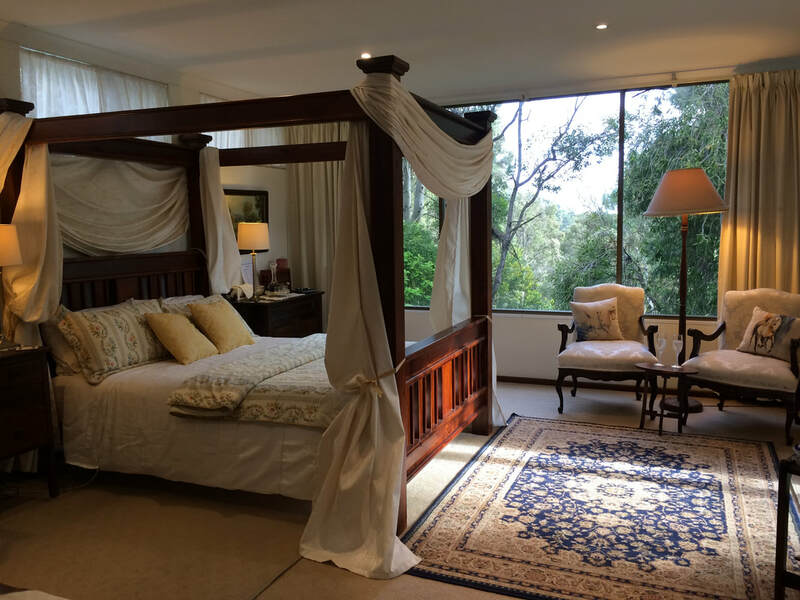 Situated upstairs with a balcony in the treetops overlooking the tranquil meandering garden. Tea and coffee making facilities are available next door in the guest kitchen. Situated next to the downstairs Forest Room, it is an ideal combination for families. A special family rate of $210 per night is available for the two rooms (for a maximum of two adults with children (children must be under 18 years)). Horseshoe Haven is a self contained suite, consisting of a main bedroom, living room and ensuite bathroom (with shower). 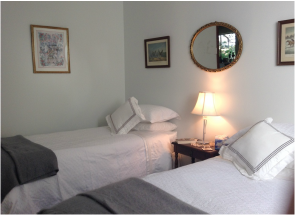 There is a queen sized bed in the bedroom, with tranquil views to the garden. The living room contains a sofa bed that can sleep one adult or two children. The living room has a private patio with lovely views of the property and gardens. Provisions for continental breakfast are provided for your stay, as well as tea and coffee. ​Tariff: $180 per couple per night, $10 for an additional adult or child over 2 years of age.